As I write this review of Saint Arnold’s Summer Pils, in a wet and wintery Auckland, some 11,915km away from Houston, it occurs to me that I couldn’t be much further away from where I first tried this beer – seasonally as well as geographically. It was 12 June 2017 and I’d just been to my first baseball game at Minute Maid Stadium, where the mighty Houston Astros stumbled to the Los Angeles Angels. It was hot – too hot – and I desperately needed something to quench my thirst and cool me down in equal measure. The novelty of ordering a so-called “summer” beer in what was winter back home was not lost on me. Saint Arnold Brewing Co: Located in Houston, Saint Arnold is Texas’ oldest craft brewery. Its goal is to brew truly world-class beers and deliver them to their customers as fresh as possible. Its small crew does everything at the brewery, from brewing the beer, to bottling, kegging, and selling it. Blurb about the beer: A golden Munich-style Helles. Crisp and refreshing, this beer is perfect for a hot summer day. 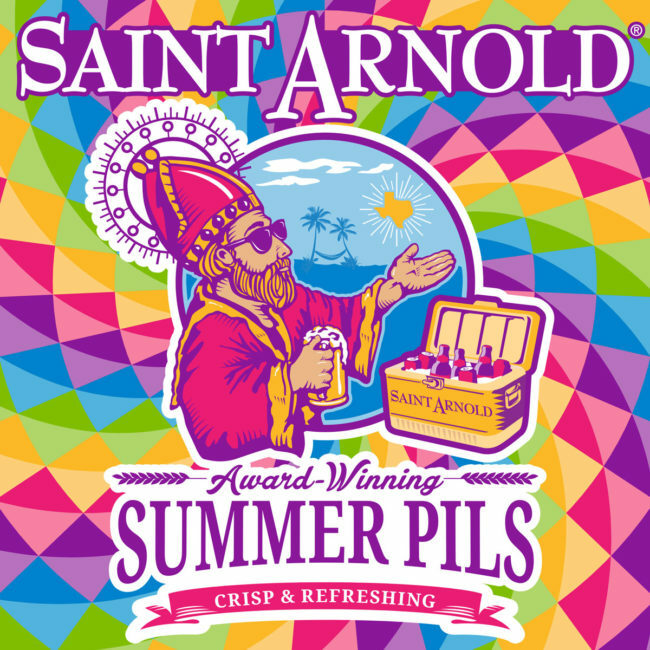 Saint Arnold Summer Pils has a delicate, sweet malt taste complemented by an abundant hop aroma and flavour. This beer is brewed with fine German malt, and a copious quantity of “noble” hops imported from the Czech Republic. Taste test: The first one doesn’t each seem to touch the sides as I pour it down my gullet – damn it’s hot in Houston. As it says in the blurb above, it’s crisp and refreshing. The second one doesn’t taste like very much at all. Back home in New Zealand, our summer pilsners tend to be very fruity. This one is grainier, less hopped-up, more straight-down-the-middle-of-the-road. Indeed, I’m not sure what makes this pilsner a summer beer as opposed to the stereotypical pilsner you’d drink anytime. It’s well carbonated, though, and ticks all the boxes in terms of refreshment. The verdict: There’s nothing special about Saint Arnold’s Summer Pils, I’m sorry to say, but it’s not too bad. I drank two glasses of it before moving on to much more interesting beers. Beer/movie combination: You know what’s a good summertime movie? Meatballs.